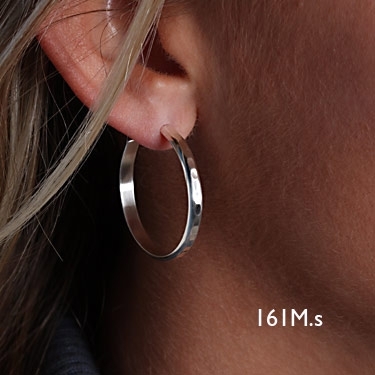 These hoop earrings are made of sterling silver and make a great simple set of earrings that can be worn with anything. The hammered surface really picks up light nicely and makes them a perfect match for my hammered cuff bracelets. The dimensions are 1/8" x 1" and have sterling silver posts and nut.